The real estate development firm's in-house team of market research analysts wanted to find areas that fit those parameters. They needed to compile a complete package of demographic, spending, and lifestyle data along with maps and imagery of the areas being considered for the theater. Where can they find all that information? In ArcGIS Content, an integral part of the Esri's ArcGIS platform. 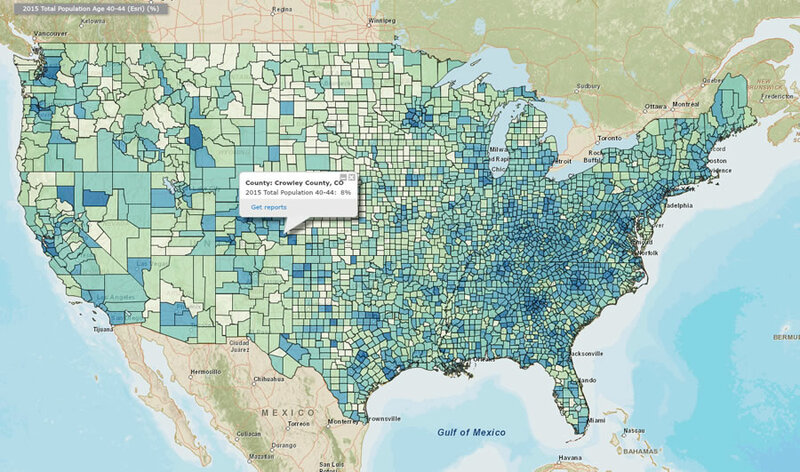 Using Esri's ArcGIS platform, the market research team geocoded the list of potential locations to visualize them on a map and selected a basemap that provided a geographic context for each location. Available in multiple cartographic styles, the selection of basemaps include the popular World Topographic, Ocean Basemap, Light Gray Canvas, Dark Gray Canvas, World Streets, and World Imagery. The team used a detailed streets basemap to understand if vehicles had easy access and egress from every site. To get an aerial perspective of each proposed theater site, the team selected high-resolution imagery of each site. This collection of imagery enabled the client to see how close the potential theater sties were to shopping centers, landmarks, restaurants and competitors. 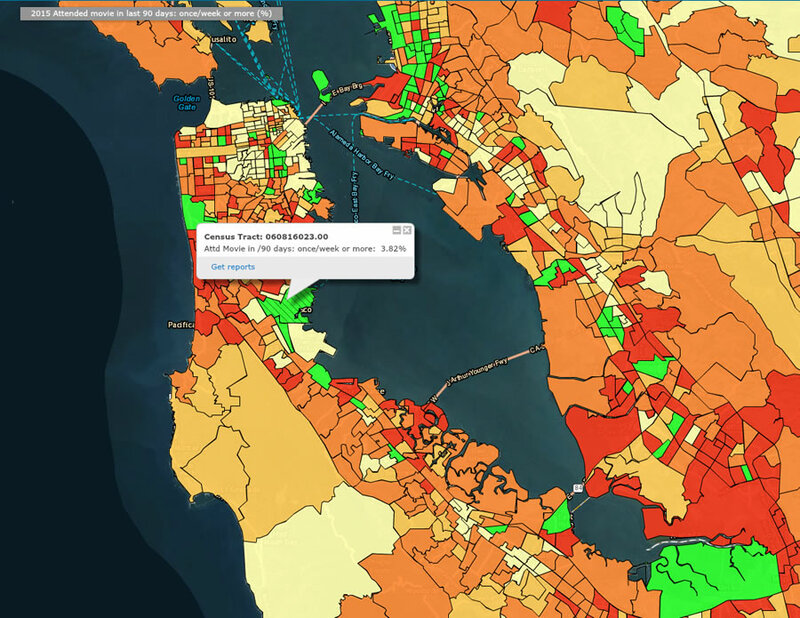 Next, the analysts overlaid data from Esri Demographics on the basemap so they could learn about demographic characteristics such as age, income, and household type of the residents who lived around each potential site. Esri's updated US demographics includes thousands of population, household, employment, and income variables at multiple geography levels. The team combined Tapestry Segmentation lifestyle data with Esri Demographics to learn which types of area residents might be interested in seeing movies in a theater. Tapestry data can provide information about local residents' product and service preferences and how these people might spend their free time. What types of media would they read, listen to, and watch, and what would they do for fun? 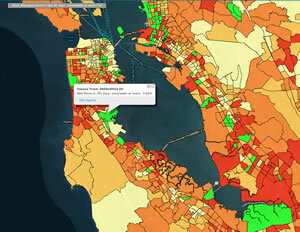 Esri's Tapestry Segmentation data classifies US neighborhoods into 67 unique segments based on socioeconomic and demographic characteristics. After receiving the team's detailed report with maps and imagery for each site, the theater chain carefully reviewed the information. The results of the research, displayed using maps created with ArcGIS, showed that singles, couples with children, and seniors were the groups most likely to patronize the new theater. Other elements, such as traffic, crime, and proximity to amenities, were also taken into account.